Take a moment to yourself, relax, and let the demands of the day float away. This massaging recliner is the perfect place to unwind, with its fully-upholstered chaise legrest, and plushly pillowed back cushion. Flared arms with an extra layer of padding add both comfort and a dash of modern style to the mix. Included power recline, massage, and heated back ensure luxurious comfort at the touch of a button. Includes USB port. Special order available. Some assembly required. 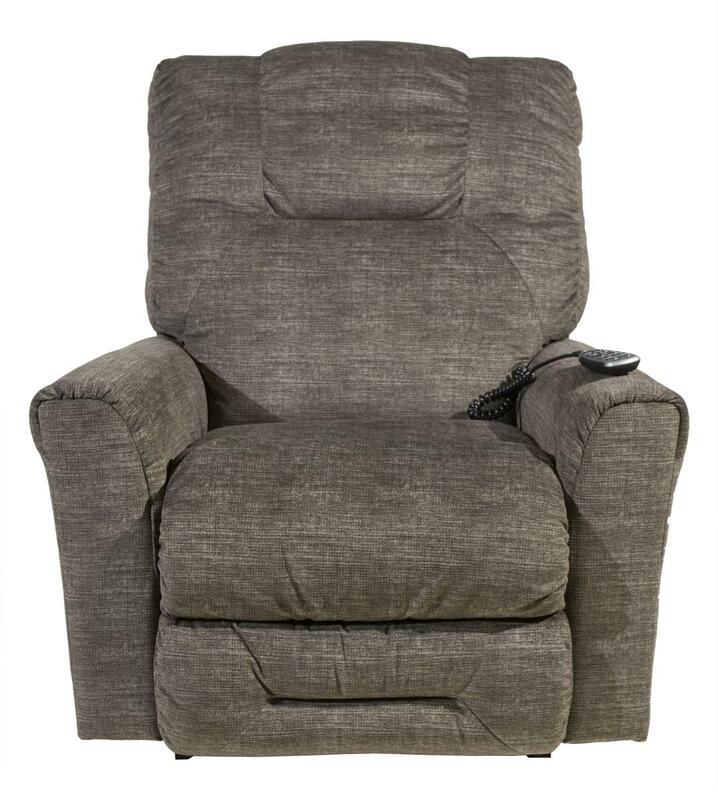 The Easton Power Recliner by La-Z-Boy at HomeWorld Furniture in the Hawaii, Oahu, Hilo, Kona, Maui area. Product availability may vary. Contact us for the most current availability on this product. The collection is a great option if you are looking for furniture in the Hawaii, Oahu, Hilo, Kona, Maui area.